New Multitasking with Project "HERA"
According to several leaks Google is working to improve its multitasking by combining Chrome and Google Search. It will execute tasks through the web. HTML 5 will be used as technology to show the actions being taken in a multitasking menu, where the users will be able to switch between tasks. Many other features are leaked a few days ago. 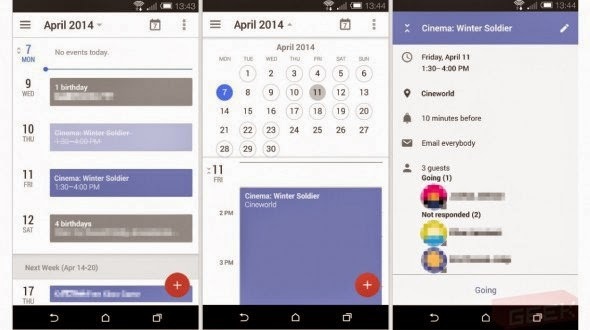 the new Gmail app will introduce a completely new interface. As Android 4.5. will integrate HTML 5 directly to the operating system we can expect even more exciting features. This is also proved by some screenshots of the calender app. Android Lollipop will probably com with the Google Nexus 8 in June or July. Stay tuned.